So you’re planning a vacation and trying to decide on Playa del Carmen or Tulum. Yes, they’re just 1 hour apart but they are completely different from one another. If you’ve never been to this region before, a.k.a. the Riviera Maya, making the choice Playa del Carmen vs. Tulum can be tough… even for locals such as myself. Which would you like better? Where would you have more fun? What’s there to do? Tulum and Playa del Carmen have their own vibe and charm, so we’ve decided to break it down for you. There are some key places you’ll want to see to make sure your vacation is unforgettable. Playa del Carmen or Tulum? Both Playa del Carmen and Tulum are extremely young towns. Playa del Carmen’s population has grown from around 18,000 to over 215,000 in just 20 years! It’s considered Latin America’s fastest-growing town. Tulum is even further south from Cancun than Playa and is more of an eco/bohemian destination. It has just over 30,000 inhabitants. Both are part of the Riviera Maya. 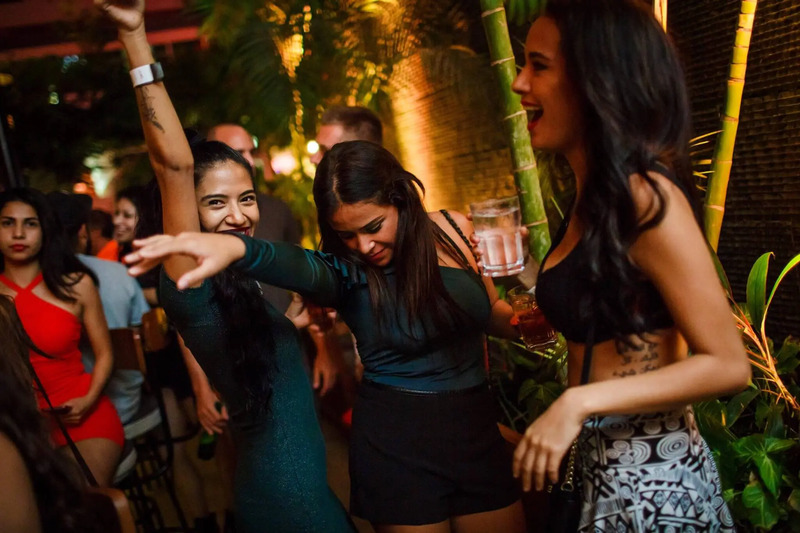 Both Playa del Carmen and Tulum draw in a special type of crowd, both hip and trendy. Do you prefer to combine a more urban, upscale environment with the beach? Playa is for you. Are you looking to get back to nature and experience more of an eco-adventure? Look no further than Tulum. Playa del Carmen combines a more urban, upscale environment with the beach. 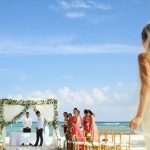 Playa del Carmen tends to draw families as well as the young, clubbing crowd who look to combine the beach by day with the nightclubs and discos until dawn. 5th Avenue (main strip) is comprised of over 20 blocks of non-stop shops, restaurants, and bars. 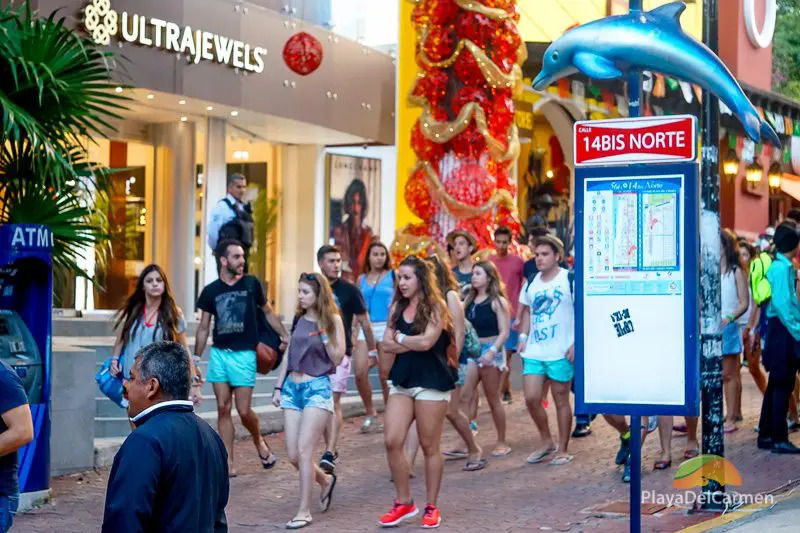 Tourists generally don’t move beyond that narrow strip between the beach and 10th Avenue… even if there is still a lot more to Playa than its tourist district. The beach in Playa del Carmen is fairly narrow at points and the public beaches usually have some crowds. Tulum is a different beast, much more hippie, artistic, and Bohemian. Tulum has its hotel zone up and down the coast, with the main urban center lying a few kilometers away inland. Tulum is much less commercialized than Playa del Carmen, and you’ll see a lot more unique restaurants and stores and less of the major international chains. The vibe in Tulum is decidedly much more laid back than Playa del Carmen. The beach in Tulum is long, wide, and in large part scarcely populated. What do you like to do when you go on vacation? You’re thinking about coming down here, so the beach is definitely on your list. What else? 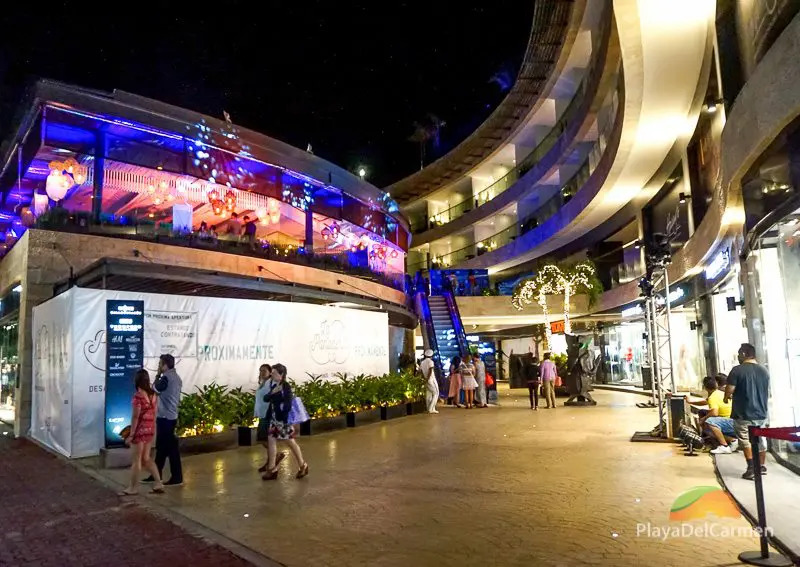 With the importance of Playa del Carmen’s 5th Avenue as its main artery where tourism flows between the hotels, beaches, nightclubs, shops, and restaurants, much of what there is to do within Playa del Carmen itself is limited to that area. 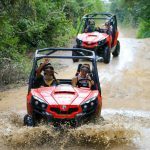 For those who want to combine the comfort and lifestyle of Playa del Carmen’s hustle and bustle with some off-the-beaten-path activities, there’s that too. 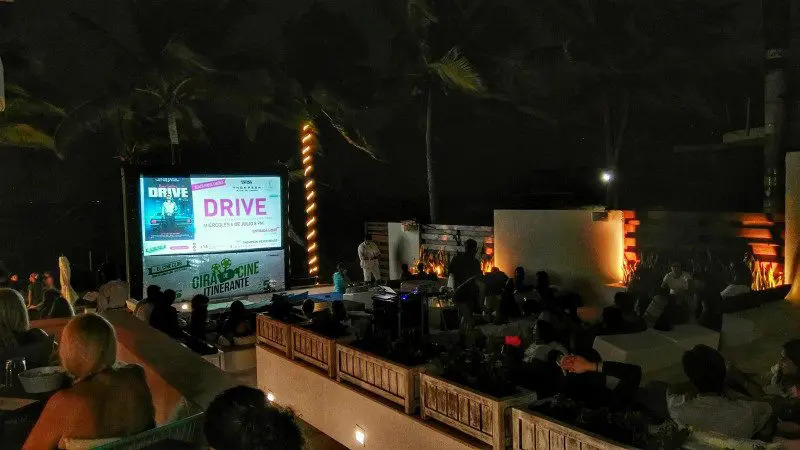 El Cine Club screens great movies at different locations throughout Playa del Carmen on several nights of the week at no cost to the public. Check out their Facebook page to find out what’s showing. Some of their locations include Blue Parrot Beachclub, Thompson Beach House, and La Ceiba park. 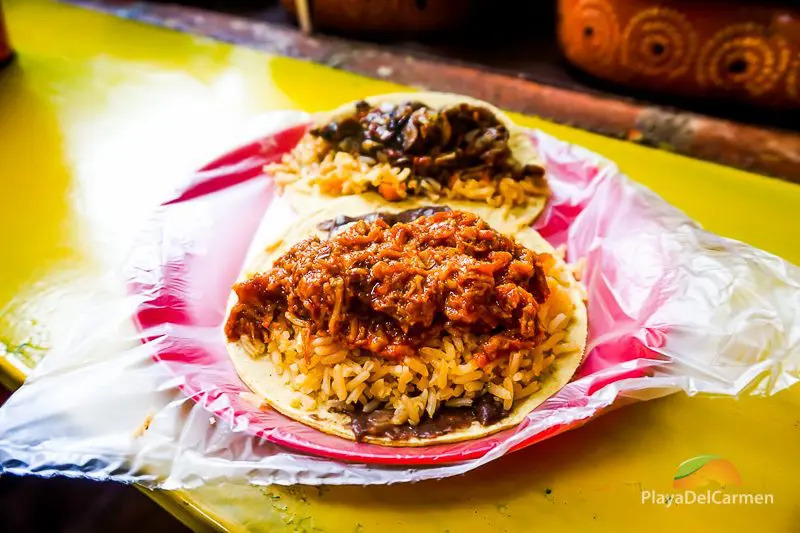 For instance, have some of the best tacos you’ll ever enjoy in your entire life at El Gran Taco, located just across from Centro Maya opposite the highway entrance to Playacar. Experience the talent of local musicians. 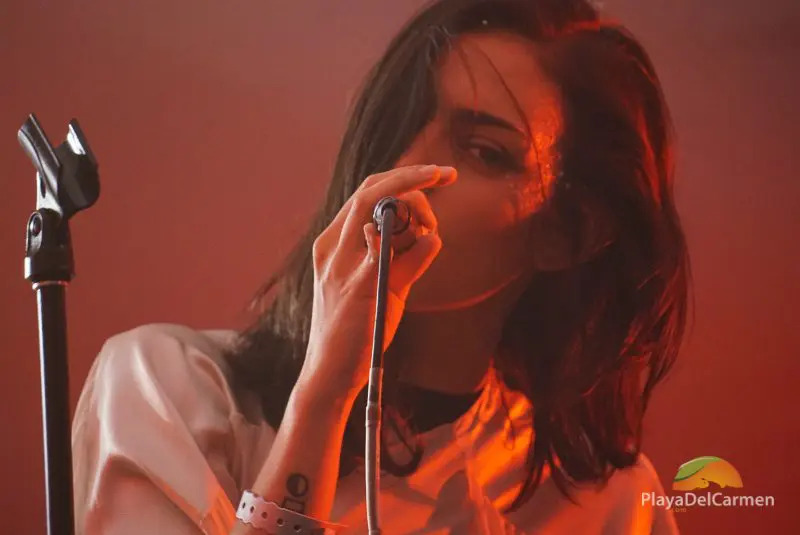 See our guide to live music in Playa del Carmen for more information. Take a day of your vacation and spend a day exploring Cozumel Island and snorkeling at El Cielo. Enjoy a presentation of the troupe’s show Joya at the first and only Cirque Du Soleil theater in Latin America. Then you’ll enjoy Tulum, a town whose laid-back vibe means your discovery process should be done at a more leisurely place. Here being a beach bum is the art of many, and for good reason. Fewer crowds, more extensive stretches of white sand beaches, and a relaxed atmosphere anywhere you go make this THE place to chill. Please note that not all major tours are available with transportation departing from Tulum, so always make sure to ask our travel gurus if you have any questions. We already know you’re going to visit the Tulum ruins, so instead of recommending you do that, we suggest you also take time to visit the Mayan pyramids of Coba, where you can ride a bicycle through the jungle canopy as you admire this once great Mayan city. When the suns sets and the lights go on along this tight stretch of road between the beach and the mangroves, you’ll be treated to a magical stroll amidst boutique hotels, hip, Bohemian-style restaurants, and chic shops. 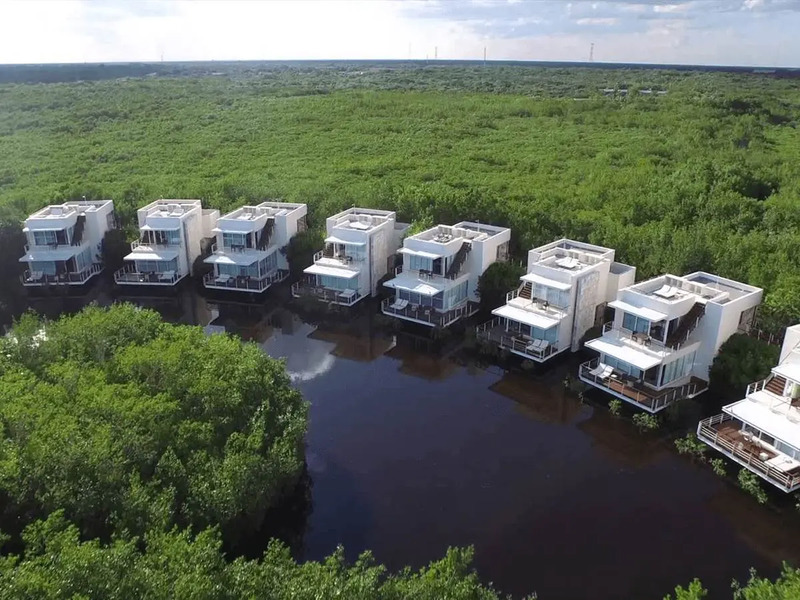 Being so close as you are to the Sian Ka’an Biosphere, steal a day from your time in Tulum to visit this pristine nature reserve just south of town. 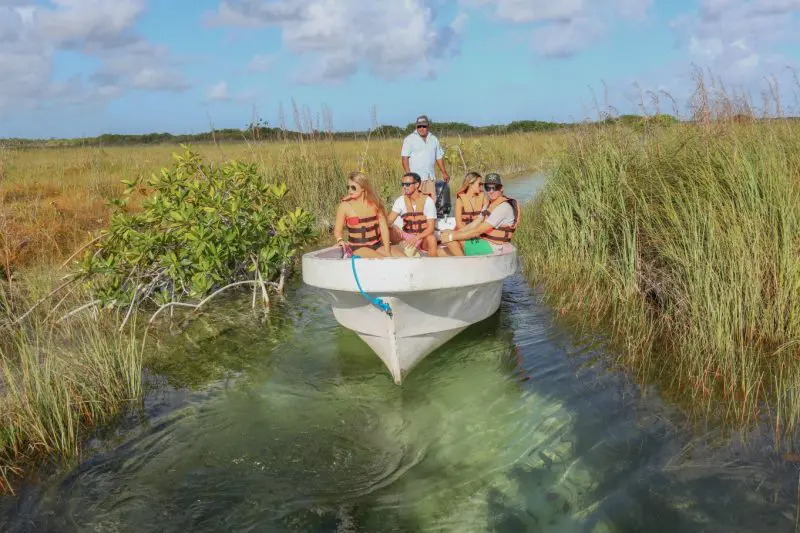 Extending out from Boca Paila south to Punta Allen, Sian Ka’an allows you to experience the stunning beauty of this region in its natural state. Take an afternoon, especially during the weekend, to hang out at Papaya Playa Beach Club, a great place to hang out at the beach while enjoying good food and hip music. Take a trip about thirty minutes north of Tulum to a place called Akumal. Here you can swim with giant sea turtles. If you prefer to combine it in one fun day of activities, you can go on the Tulum & Turtles tour. Are you a foodie? Do you appreciate a good meal? With the growth of the region, one thing that is under the radar for many people is that the entire Riviera Maya is slowly but surely becoming a foodie haven. 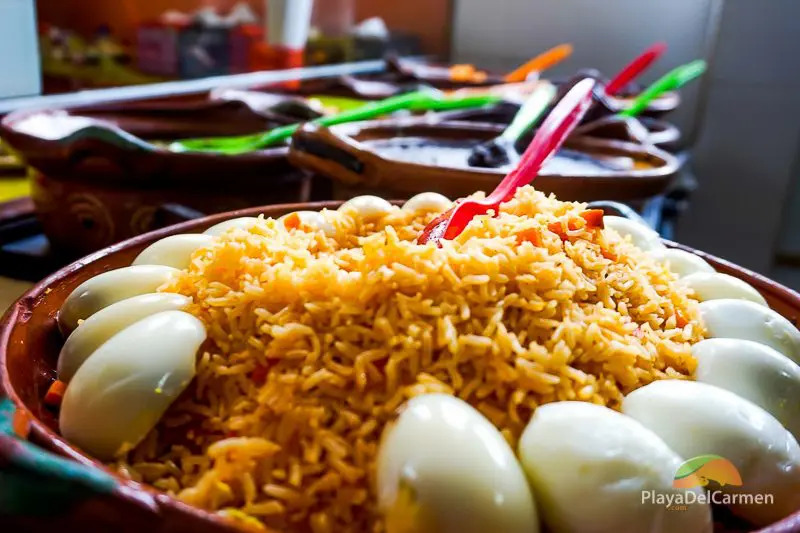 Playa del Carmen restaurants are as culturally diverse as the population, meaning that here you’ll find the majority of those international cuisines you so love. Of course, quality Mexican food abounds. 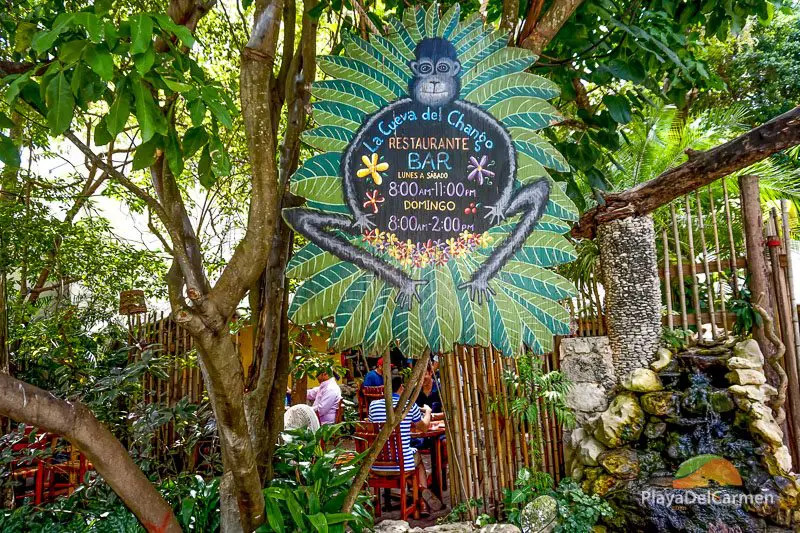 For breakfast in Playa del Carmen, check out El Jardin, La Cueva del Chango or El Gran Taco. 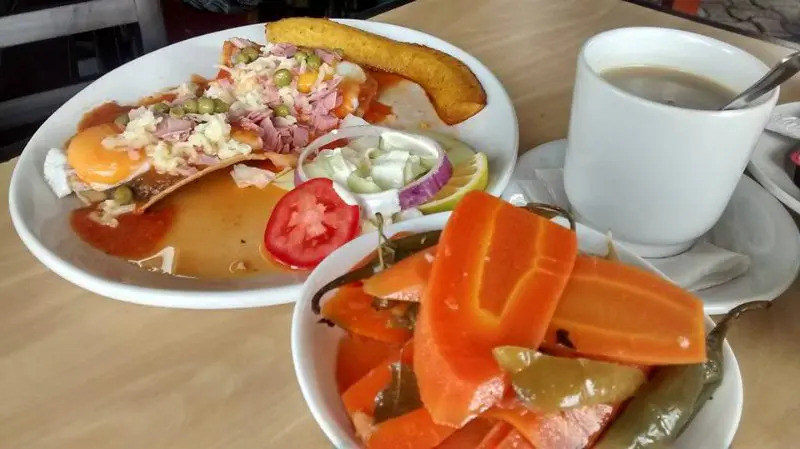 All three offer different types of cuisine, El Jardin has more of an international medley, La Cueva del Chango great Mexican breakfasts, and El Gran Taco for mouth-watering, stew-filled tacos, Mexico City-style. For lunch in Playa del Carmen check out Axiote, which serves up lunch menu of gourmet Mexican food at extremely reasonable prices; eat at El Pirata for some delicious, well-served local seafood dishes in a welcoming environment; try Café L’Orange for some quality international cuisine. Great options abound for dinner in Playa del Carmen. 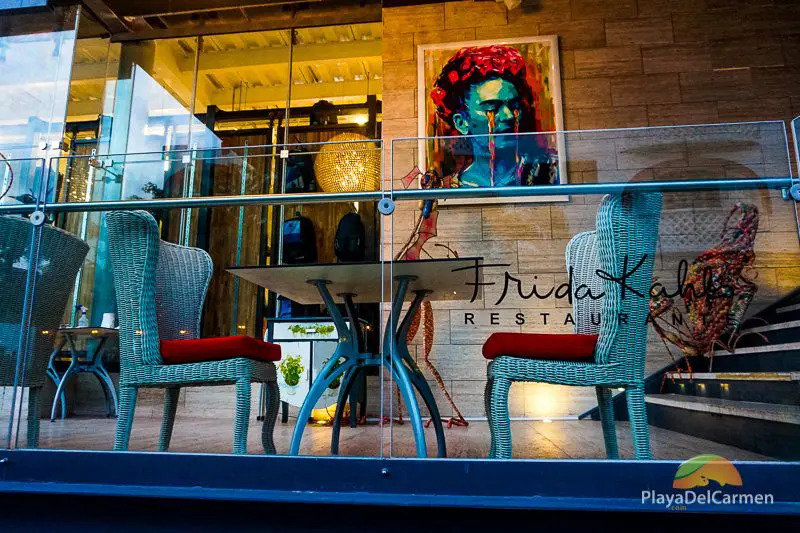 For upscale dining, check out Plank Gourmet Grill & Patio Bar; give La Perla Pixan Cuisine & Mezcal a try for some authentic Mexican cuisine using pre-Hispanic ingredients; head out to Nau in Plaza Pelicanos if you’re looking for some incredible Mediterranean cuisine. Be prepared to discover some amazing restaurants in Tulum. Just remember, however, that all of the restaurants in the hotel strip are going to be much more pricey than the ones in town. 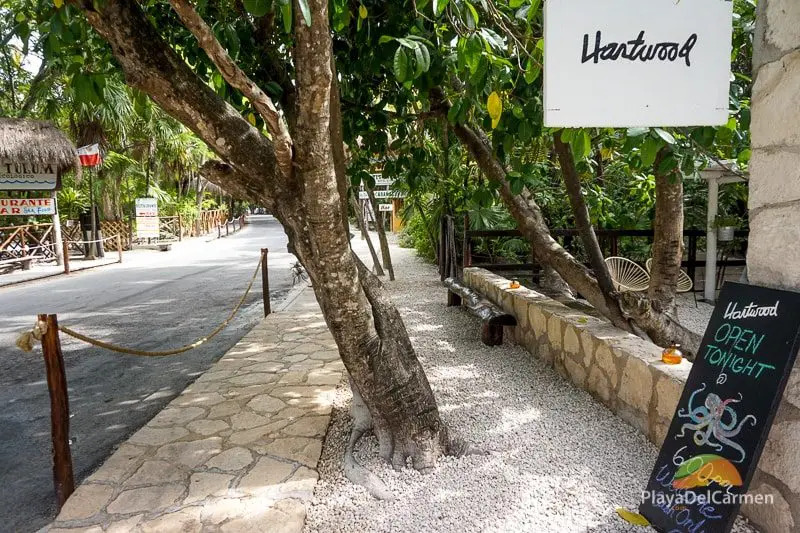 Although you won’t find as much variety in Tulum as you will in Playa del Carmen, there are still numerous incredible places to eat in Tulum that will satisfy the most demanding of foodies. For breakfast there is almost no contest, as Don Cafeto’s offers up some delicious fair, coffee that actually deserves the name, and one of the most delicious concoctions you’ll find anywhere: Chiagra. This nutritious and energetic drink combines a local plant similar to spinach known as chaya with mint, cucumber, lime and a touch of orange juice. Absolutely delicious and a wonderful way to start the day. Plus it’s the best place in Tulum to people watch. For lunch, head out to the southern end of town for some delicious local seafood at El Camello; check out to La Zebra Beach Restaurant & Tequila Bar for some delicious food in a fabulous environment; try Restaure for some a delectable fusion of fresh, vegan food. When dinner comes around at least one night should be spent at Hartwood. Expect a long line to get in, so don’t go when you’re hungry. Just thirsty. That way you can build up your appetite while waiting in line, cocktail in hand. For a more relaxed, wallet-friendly environment, check out the great tacos, tortas, and quesadillas at Antojitos La Chiapaneca. For a more international flair in the hotel zone, you can’t go wrong with Kitchen Table. There are many great options for hotels in Playa del Carmen and vacation rentals. What works best for you will depend on your budget, travel party, and taste buds. Perhaps most particular to Playa is how close you want to be (or not) to 5th Avenue. Sometimes proximity to this hip strip can boost up the price, so it is something you’ll always want to consider. Beachside hotels and resorts can also make your stay more expensive. However, keep in mind that if you stay in downtown Playa del Carmen you’ll never be more than a few blocks away from the beach. 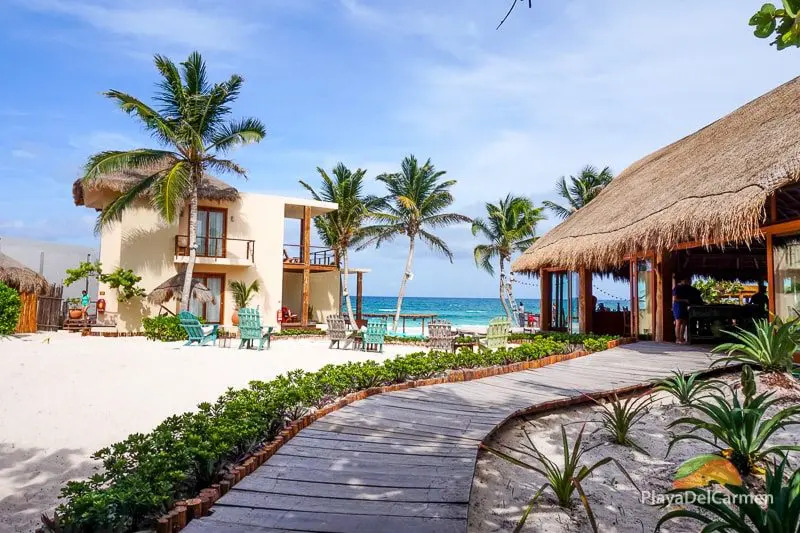 The difference between Tulum and Playa del Carmen definitely shines through in terms of its accommodations, with many of the more popular options in Tulum being much more rustic and back-to-nature than in Playa. 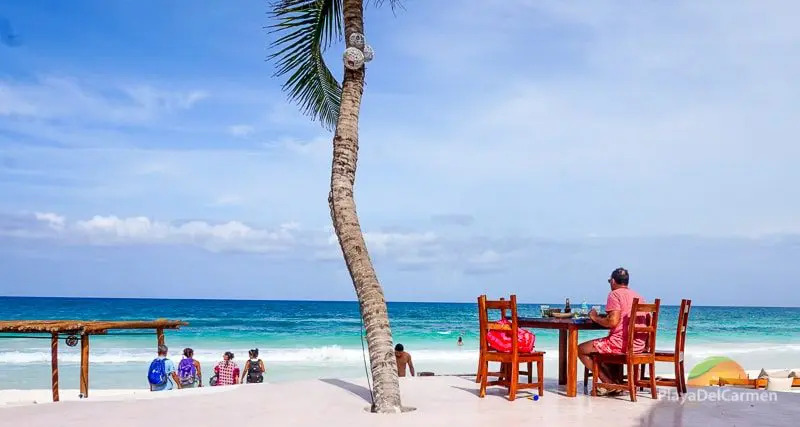 In Tulum, the big all-inclusives are located mostly outside of the city, and the hotel zone is filled with boutique-style hotels that replace the hotel room with cabañas decked out with modern amenities. But don’t let the rustic ambiance fool you; many of these hotels are high-end and offer the same standards as anywhere else. And they’re more expensive to boot. The majority of hotels are located along Tulum’s hotel strip, which runs parallel to the coastline. The hotel strip is comprised of high-end eco-boutique hotels and smaller, more rustic hotels, hostels, and camping sites. Great hotels for all budgets can also be found along the highway leading to the hotel strip as well as in the downtown area. 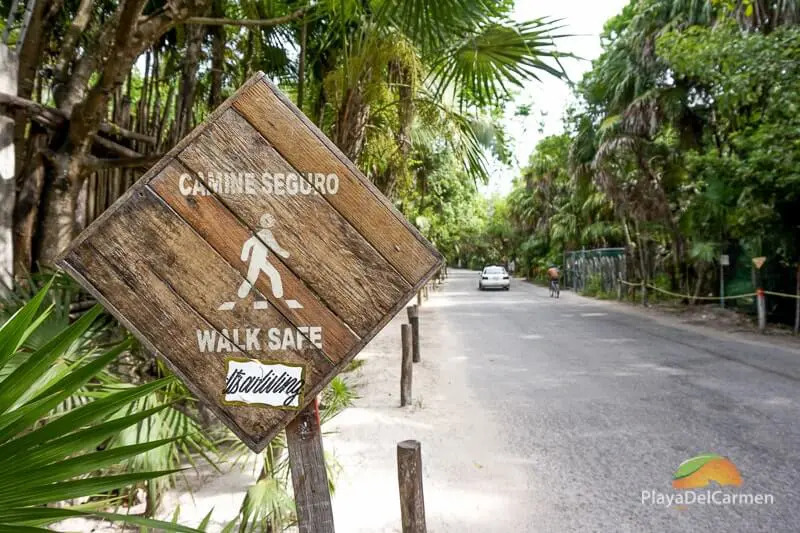 You can easily get around by bicycle in Tulum, so if you’re on a budget don’t hesitate to consider places to stay downtown. As you can see, both Tulum and Playa del Carmen have something to offer. 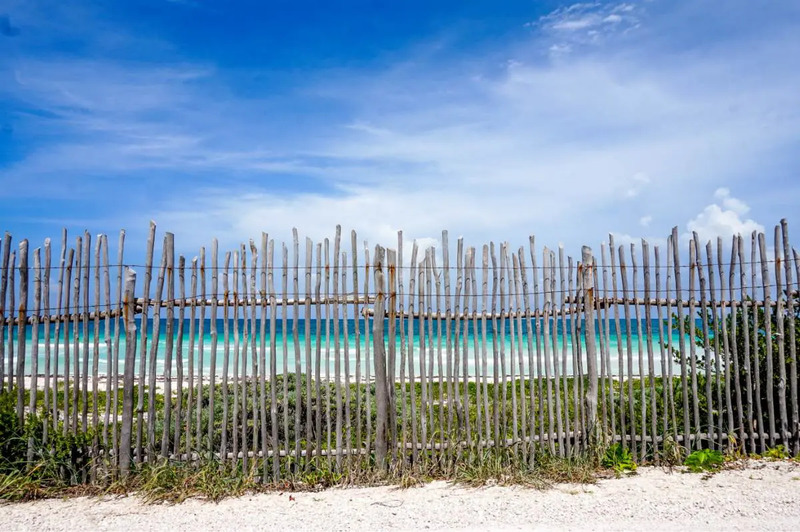 Tulum is more the destination of choice for those looking for an off-the-beaten-path, back-to-nature adventure where everything is much more rustic, small-scale, and low-key than in Playa del Carmen. Playa del Carmen is the better choice for those looking for a little more action and modern accommodation than in Tulum. For some, combining a few days in one place and a few more in the other is the ideal way to get the best out of both worlds. Find out how to get from Playa del Carmen to Tulum here. Do you prefer the hustle and bustle of Playa del Carmen or the laid-back, Bohemian ways of Tulum? Our travel consultants at PlayaDelCarmen.com‘s are here to help. We’re locally-based experts who know the entire Riviera Maya and are masters at helping you find your perfect hotel or activity. We can be contacted via our contact page or toll-free at 888-537-9797. Very useful article! I’m planning a one week trip to Mexico in January and will probably stay a couple of days in Playa del Carmen and then move on to Tulum. Thank you for your feedback! Feel free to reach out and contact us if you need any help during your trip or wish to plan any activities. Great article, we are planning a trip there, question, if you are traveling with kids, we are thinking to rent a house airb&b, is it hard to get a beach spot without staying in the big all inclusive or there is public beaches? We have plenty of public beaches here with several beach clubs to choose from. 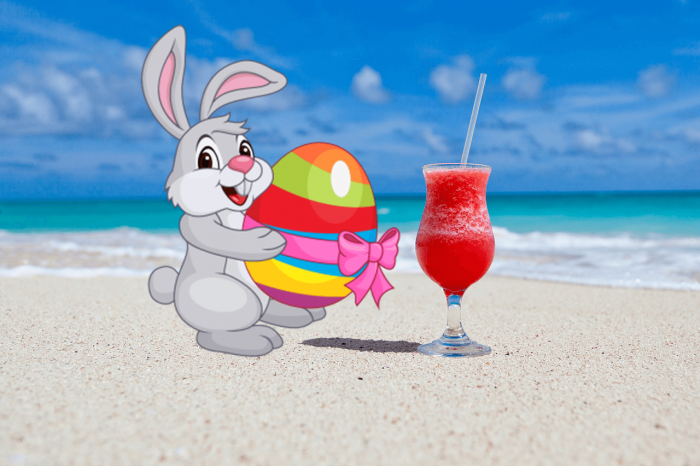 We have an awesome blog that mentions various beach clubs in the area as well. 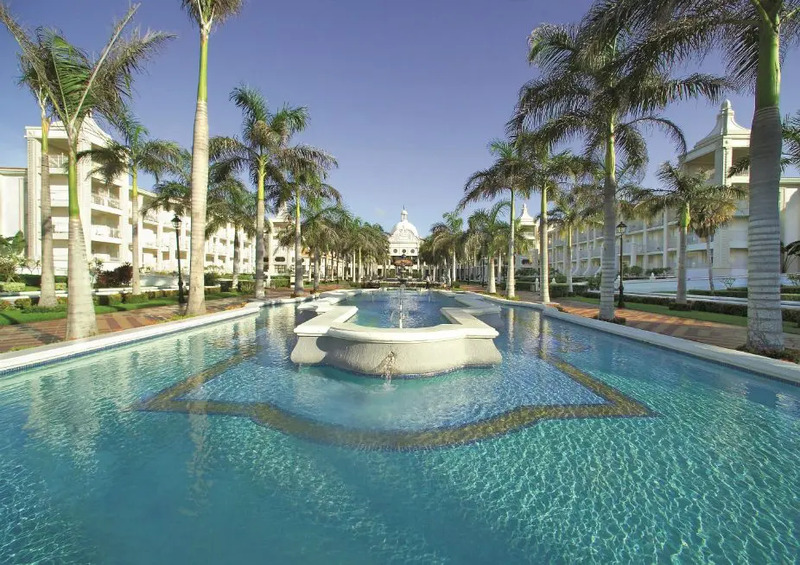 Hang tight and one of our fabulous Travel Gurus will get back to you shortly with info on various beach clubs and condos in Playa Del Carmen. Have a fantastic day Paola! We went to Nicaragua a few years ago – and we got stuck in a remote area needing medical attention. What are the medical facilities like in either city? I worry about having a similar circumstance…. Thanks for reaching out, and sorry to hear about your situation in Nicaragua. Playa del Carmen is a fairly large city, and the hospitals and doctors here are plentiful. This isn’t a remote area, so no worries. 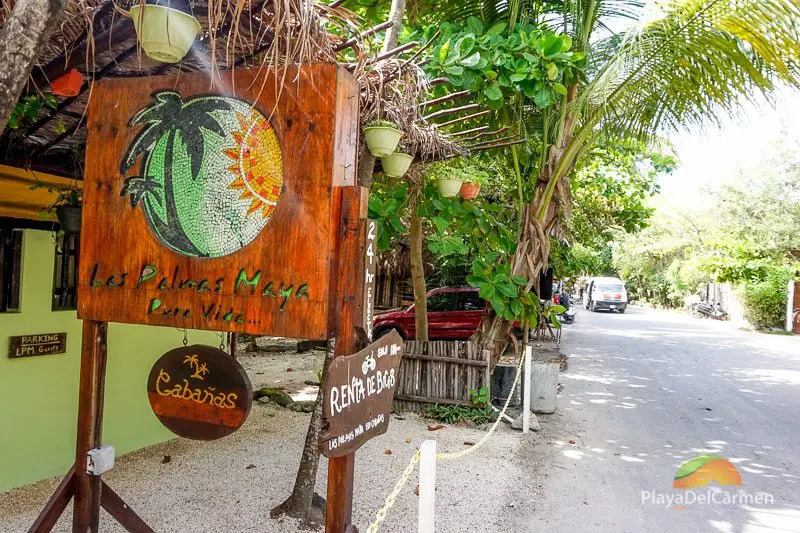 Tulum is a smaller town, so there are doctors there, but Playa del Carmen would be your best bet, although it is only an hour from Tulum to Playa anyway. If you need help planning your vacation, let me know, I am happy to price packages or hotels for you. Thanks for getting in touch! Tulum is almost sold out first week of January! No worries, Playa Del Carmen is about 35 minutes away with A LOT MORE options for budget places you can stay! 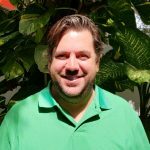 One of our FABULOUS Travel Gurus will contact you shortly with more info on Tulum and Playa Del Carmen, rates for hotels and all that fun stuff! Have a great day! thank you for all those helpful information. We are planning to stay in Tulum or Playa Del Carmen next year. 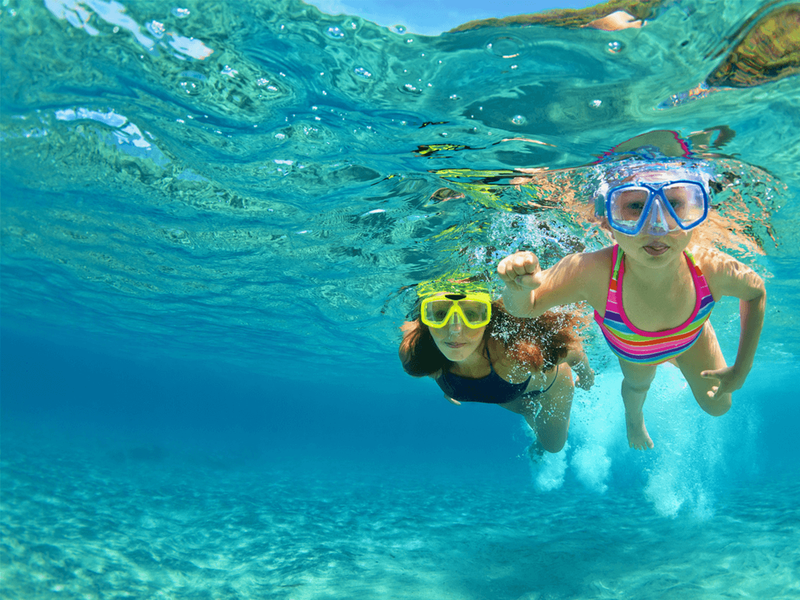 Which place would you recommend for snorkling? And which beach do you prefer? Thanks for getting in touch 🙂 The only place I can think of that has snorkeling right off the shore ( and you would actually see something) would be Akumal. Other than that, the reef and marine life is deeper in the sea, accessible only by boat, in both Tulum and Playa Del Carmen. Those who want to snorkel and experience the reef and marine life must rent a boat or take a guided snorkel trip on a catamaran🙂 The best place I have gone snorkeling has been Playa Mia in Tulum and Akumal. One of our Travel Gurus will contact you shortly on info on visiting snorkel spots in the area. 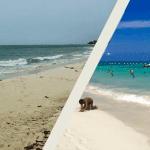 How does the quality of water, waves, and sand compare between Tulum and Playa Del Carmen? In Tulum, would you recommend staying in town, or near the ruins? Well, it really depends on where you are planning to stay in Playa because the beaches are different depending on which area you are in. Some beaches are wider, calmer and less rocky than others. 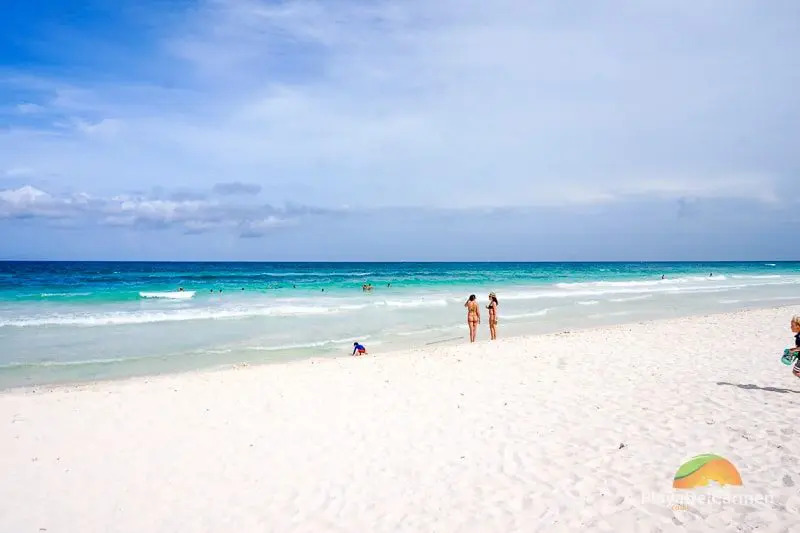 I think Tulum is more laid back, and probably wouldn’t be as crowded as Playa del Carmen beaches, but again, it depends on what time of the season and which beach you are planning to see. Tulum has a “hotel zone” if you will, that’s not in town or by the ruins. So if you want to be on the beach, you will have to stay there. There are hotels in town, but they won’t be on the beach. 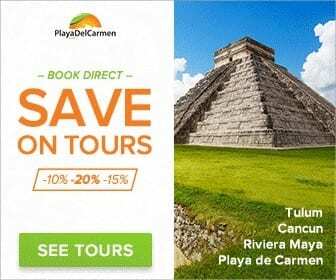 If you have any more questions, shoot us an email at customercare@playadelcarmen.com, and we can go into further detail. Lisa, this is what we’ve been looking for. Very helpful! We’re coming for three nights (Monday-Thursday) the second week of February ahead of the Dead show at Barcelo. Your description of Talum is far more our style. However, after beaching and touring, we will want music, food, drink. Will there be enough activity on a Monday, Tuesday, and Wednesday night in Talum? Hi Sal! I can help you out. Have a look at your email, I sent you a couple of questions. We are traveling with an 11 month old baby, and would like to stay in Playa del Carmen and Tulum as well. What do you recommend as far as transportation between those places and to/from the airport? any hotel recommendations? I made reservations for two hotels – one in Playa Del Carmen and one in Tulum, as I’m still torn on where to stay. They’re both beach front but the one in PDC is half the price of the one in Tulum. My number one concern I guess is safety. I read that crime in Playa Del Carmen has gone up – shootings, kidnappings due to drug war. I want to stay where it’s safer. However, what do you do in Tulum once the sun sets? Are there places to go, bars, live music, shops, plenty of restaurants??? Is there public shuttle that tourists can take between the two towns at night (or day)? I’m not really thinking of taking a taxi at night to go or coming from PDC, again, for safety reasons. I have until August to cancel one of the reservations so any help/input/advice would be greatly appreciated. Hola Christine. 🙂 PDC is great if you prefer a more lively atmosphere, you have 5th avenue on your doorstep and all the entertainment, bars, eateries, etc, you could ever dream for. That, coupled with a gorgeous beach and close proximity to all the top attractions in the region, it’s easy to see why it’s so popular. Tulum is the epitome of bohemian chic if you prefer a more chilled out, relaxed, eco-friendly vibe. There are places to go to eat and drink at night, but they may not be in as close proximity or walking distance as you would like. There is the ADO bus which goes between Playa and Tulum daily, it’s spacious and air-conditioned. The cheaper option would be to use the colectivos which are a local bus but they can often get busy and hot so for the sake of a few dollars I would definitely recommend the ADO service. It’s excellent. In terms of your safety, I’ve lived here for over a decade now and never once ran into any issues. When visiting any new city just have your wits about you. The things you have read about or seen on the news happen strictly between the drug gangs and is not a common occurrence. So as long as you steer well clear of that scene, I guarantee you won’t have any issues whatsoever. Thank you so much for this guide. We are going to both playa del carmen and tulum in January. I really liked the picture from the narrow road of Tulum’s hotel strip. What is the street address of this street? Hello Jannike, you’re more than welcome, that’s what we’re here for 🙂 to provide you with the most useful information and ensure you have a trip of a lifetime. You’ve definitely made a GREAT choice by deciding to visit both areas, they are each so different with a lot of different things to offer. 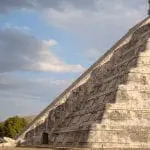 You may want to check out our 1-day guide to Tulum https://www.playadelcarmen.com/blog/1-day-guide-to-tulum/ it details the best places to eat/drink, things to see and do etc. I hope you find it useful. The hotel zone is called exactly that and if you are using a taxi or bus service they will know where you mean. It is well signposted if you choose to rent a bike or walk. Happy exploring :D! How dificult/ easy is to get to the beach in Tulum if you’re staying in town or the Aldea Zama area? It looks like there are very good accommodation options in Zama and downtown… are there things to do there at night? We are working on planning my bachelorette party in Tulum some time this summer June – Sept (dates still TBD). Weather aside, I’m interested to hear your take on rental cars in the area since we may have upwards of 10 ladies traveling and flying into Cancun. Do you advise the bus to PDC and then transfer or getting a car? If so, where is best for rental cars? We’d like to have the freedom to get around to cenotes, town the beach etc and wondering if a car would be worth it, although I’ve read mixed reviews. 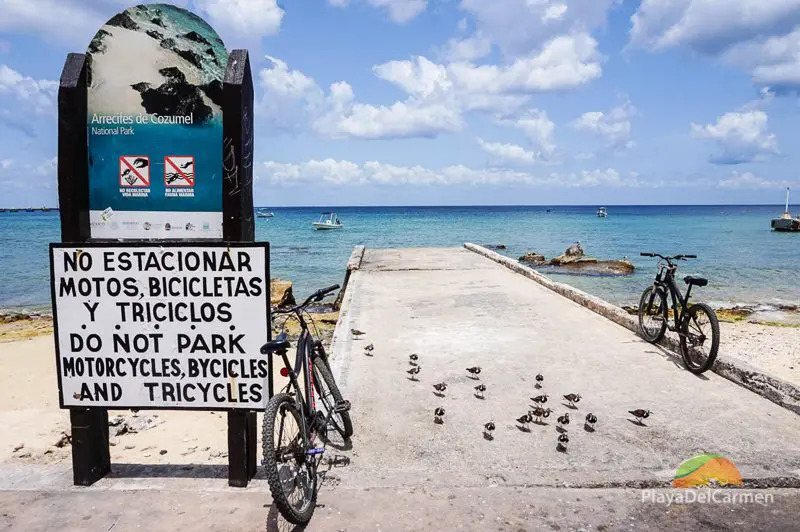 If we didn’t go the car route can bikes get us around from beach/town/ruins and cenotes mostly? If so that may be the best option. 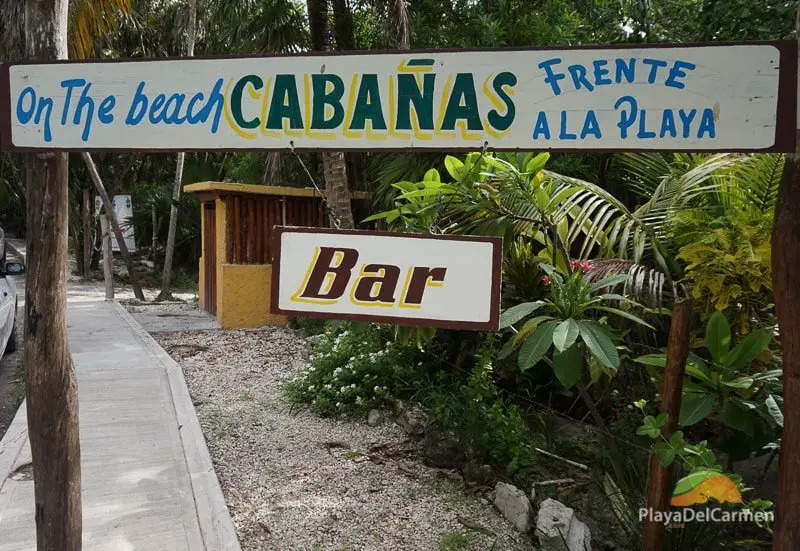 Do people ride bikes from beach to bars at night in Tulum – is that safe? Hola Ashley, yes bikes are probably the most popular option in Tulum as it is an eco-conscious location. Not sure about riding them back after a few drinks though, taxis are always a cheap and quick option so I would definitely advise that. However, considering the number of you it may make more sense to hire a car… https://www.playadelcarmen.com/information/rent-a-car we’ve lived here decades now and drive everywhere and have never had any issues. 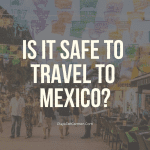 We hope that helps, remember if you have more questions feel free to email us at customercare@playadelcarmen.com and one of our Travel Gurus will take care of your every need. Hi we are planning a trip on June, my kids would love a “swimming sith dalphins” experience where do you recomend to go? Hola Ana, due to the moral implications we no longer advocate this experience, apologies. Lisa, what a great article! Thank you! I am planning a last minute trip with my husband, kids (4&6) and mother in law to Mexico. This will be my first time. 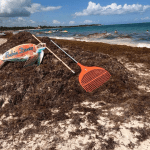 My husband visited Cancun in the past and didn’t like the hassle and bustle. We like to be pampered on vacations. I am not a big fan of over crowded and commercialized areas, however, the fact I travel with two small kids, I am more couscous as to where I am traveling to. What area would you recommend for us to stay in if our preferences are luxury accommodations, calm beach, but we would also like to visit some ruins and experience local culture. Thank you in advance! Hello Lisa , thanks for make the time to do this for everyone !! its very helpful . I need some help or some advice to plane may next vacation for sure Tulum its are destination , We are a family with 2 babies one of 2 almost 2 years and other with 7 months older , we want to know if Tulum fits for babies , this will be are firts trip togueter and we are a litle concern about the babies… they do babysitting there? . Hey Amaka, you’ve come to the right place 🙂 I will have one of our expert Travel Gurus reach out to you via email to begin discussing your options. 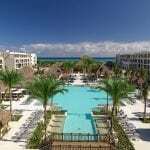 Need help planning my honeymoon! We have 9 days and my fiancé has always wanted to swim with whale sharks, we love outdoor adventures (zip lining, hiking, etc) we want to learn more about the culture and see the ruins. I would love to enjoy some art and tequila tasting. Can I contact someone for help?! Well Bretney I’m pleased to inform you, you have come to the right place! I will have one of our expert adventure Gurus reach out to you ASAP to give you free, unbias advice. We have tried and tested EVERY tour so you can rest assured you’ve chosen wisely. Keep an eye on your emails we will be in touch very soon to discuss options and save you money. I highly recommend whale sharks, jungle buggy, underground cenotes, selvatica, and Chichen Itza (my personal faves). hi, Lisa thanks for all your advices we went to Tulum and we had a great time there !we use sittersofthecaribbean and she care my two babies girls really good !!! We went to different places with no worries thanks for the Tip. Even the rain can’t stop us ! We got a great time there defenitely we going back to YUCATAN we have many pending places to go see you soon YUCATAN. We are so happy you had such an amazing time! Remember, we are always here to help you get the best deals on any hotels and tours in the region. All you have to do is get in touch with us via customercare@playadelcarmen.com we would be happy to help. 🙂 Talk soon 🙂 many new adventures await you. Do you have any places in Tulum that are reasonably priced on the beach. Looking for a rustic little bungalow with a cute beach bar. Also, do you know any transport companies than can pick us up at Cancun airport and take us to Tulum? Hey there Heather, sure thing you’ve come to the right place. I will have one of our expert travel planners reach out to you asap to begin discussing your options with you. 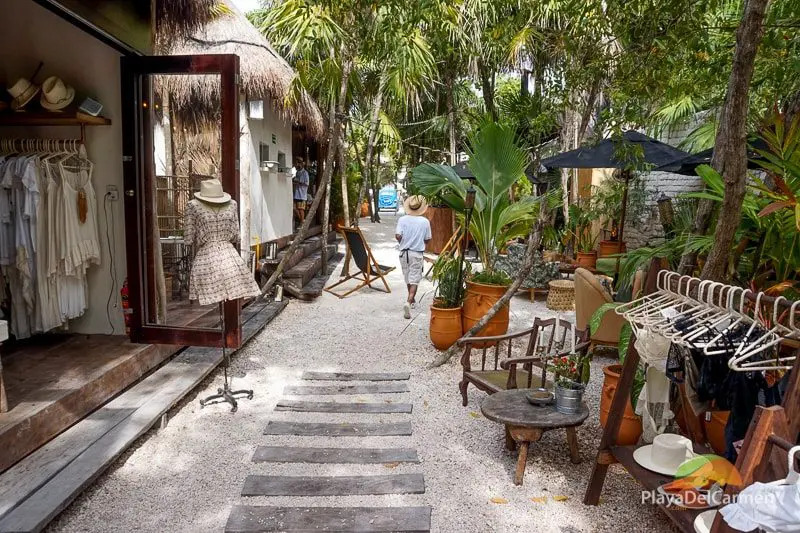 You can also read my recent blog post here about my favorite hotels in Tulum, you will find a few rustic accommodations in here. too. 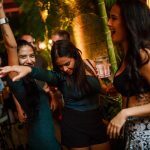 https://www.playadelcarmen.com/blog/best-hotels-in-tulum/ Let me know if you like the sound of any in particular. :) I will also have an agent get back to you with a quote for roundtrip transportation from the airport, and we can get that booked in for you ASAP. Talk soon. Great info! We are planning a mom & son trip to climb Coba. Looking for everything listed above. Food, day trips, transport and fun. Can you help us get it together and plan a great vacation? Hi Joelle, thank you for reaching out. Coba is a great choice for you and your son. You will remember this day for the rest of your life! Climb to the top of the highest pyramid in the area. Zip line through the jungle. Rappel into a cenote and swim in the crystal clear waters. A Mayan shaman will also perform a blessing ceremony and you can also replenish your energy with a delicious Mayan lunch. Here you will find all the information you need, and you can even book online and save 10%. 🙂 Let me know if you need any help. Hi there, thanks for the info. 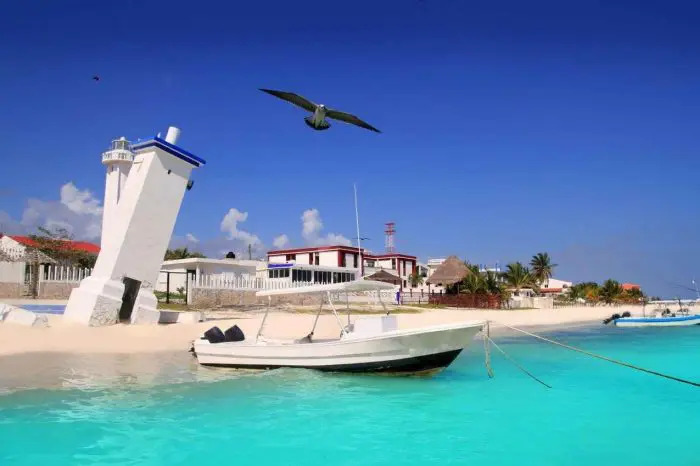 We are looking to stay in a place with the nicest beach in the Riviera Maya, We would prefer white sand, blue clean water and very calm since we are traveling with kids ( We heard that Cancún is very wavy) Base on your experience please would you give us some recommendations. Thank you. Hey, great article but what if we want to go for a bachelor party, where should we go? Aka: we want to party hard! Looking to stay at a 5 star resort in 10 days from now. I’ve looked at a few just curious what is the best right now in playa. 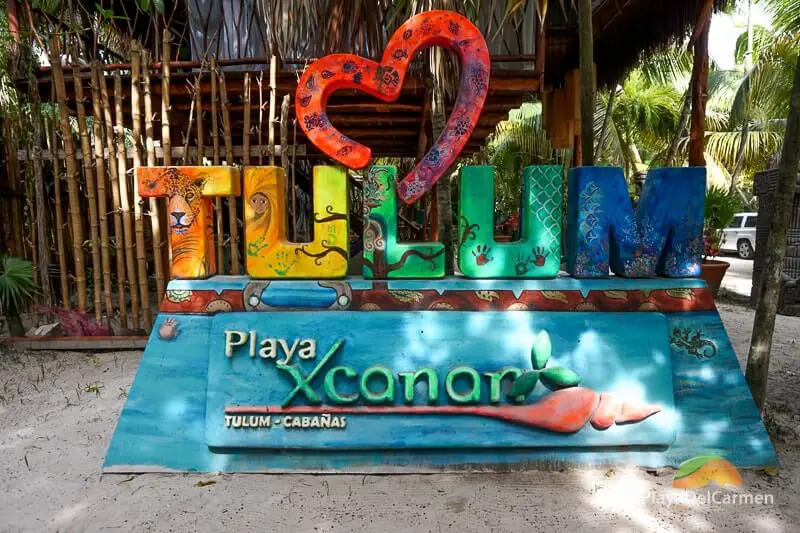 noticed there is a review of Playa Del Carmen hotels but none for Tulum……any recommendations for 2 adults who enjoy snorkelling.